I'm looking at an idea for a circuit design; The idea is to sense a temp of 130 degrees and then light an LED and start a timer delay. The delay would be 3 min, after the delay if the temp is still above 130 sound alarm. With the LED I would like to drive a counter display to show how many times the temp was sensed. I would like powered by 120vac and a 9 volt battery backup for counter circuit. If you can assist please let me know. The circuit you require is possible, what is the time frame within which you require it ? You also need to tell the resolution you require is it 130 or 130.0 and counter upto 9999 ? what are the controls you want and the outputs required if any. The circuit you require is possible, what is the time frame within which you require it ? i can design above with simple analog-digital based circuits, microcontroller based designs will take much more time but can be upgraded easily. I added my comments in bold below with your questions. Thanks for your assistance. what are the controls you want and the outputs required if any. a reset for counter and I would like the temp sensor to have 4 sensors so I could surround a pipe and any sensor would trigger circuit. The unit would be mounted about 6-8 inches away from sensors. Thinks a probe type sensor so it can protrude from a plastic tube that will be shaped to meet pipe or vent design. i can design above with simple analog-digital based circuits, microcontroller based designs will take much more time but can be upgraded easily. No upgrade needed only the sensor mounting locations will be needed at this point. I might not need AC if the circuit can be powered from 9 VDC battery like a Smoke detector. Thank you for your assistance. My answers are by your questions. Hope this helps. This unit is more for troubleshooting a air flow problem. If the counter shows many 130 Degrees detected or alarm is going off several times a higher priced system for a forced air flow will be needed. Currently no way to detect heat increases going around vent so client doesn't want to purchase forced air flow system. This is a safety device so client can decide on this cheaper system to monitor or a more expensive permanent fix. I will need a PCB setup after I can test the circuit in test environment. The temperature in a pipe is monitored with four RTD Pt-100 Sensors, The type of probe could be Extruder RTD probes with Bayonet or Compression Fitting, Get it from Omega. The temperature at four points are measured by Temperature Module and compared with one setpoint 0-200 deg C, an alarm output LED out-a goes ON when the measured temperature exceeds the common setpoint. a. do you need individual setpoints for all the four points you measure ? b. is the temperature deg C or deg F, centigrade or Fahrenheit ? c. do you need a relay output when the LED goes ON to turn off the heater ? d. the time taken to measure 4 points will be 4 seconds is that fast enough ? 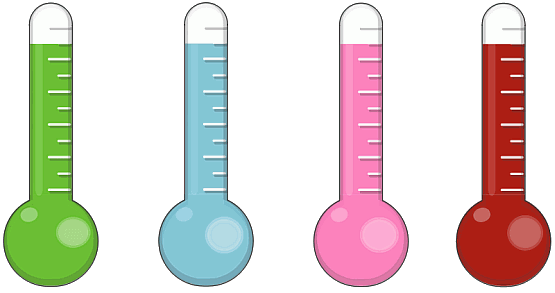 e. do you need a display of the measured temperature as shown above ? The Analog Timer Module can be set from 0- 30 minutes. If out-a remains high even after set time a out-b alarm goes on with a relay output, the relay contacts can be used to turn off a heater or sound a buzzer. a. do you want to use a digital timer instead ? b. do you need a solid state relay output ? Used like a smoke detector. Alarm to notify client to check air flow. This is in case the air flow stops. a. do you need a preset like "150 times" for the counter to sound an alarm ? NO The alarm should sound if temp is 130 or above and stays that way for 3 minutes. The unit is powered by 120V AC and a 9V battery to backup the counts in counter module, if the LED displays are turned on by a pushbutton for momentary use then 120V AC can be avoided. Yes the counter can display when button is pushed for reading. a. do you need the temperature display and counts display always ON ? Send the Circuit design and I will need to find someone to help with PCB layout. I will take the design and layout a test card and see how it works. Will you have component breakdown so I can purchase them? The Circuits and block diagram. The Circuits and Technologies of delabs are Open Source.